Enjoy hassle-free simplicity and convenience! 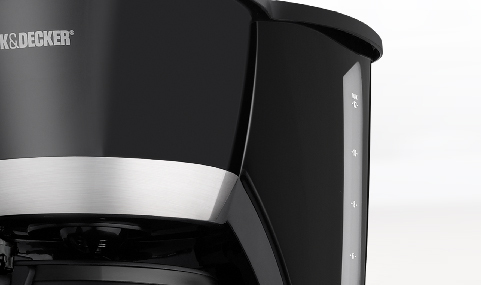 This 12-cup coffee maker offers fast, easy programming plus the Sneak-a-Cup™ feature to pour your first cup before brewing ends without making a mess. Dishwasher-safe parts like the removable filter basket make cleanup a breeze. This system allows you to program quickly and easily. 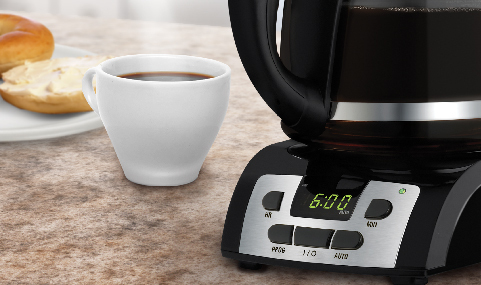 By pressing a few quick buttons you've programmed the coffee maker to brew your coffee when you want it. Program your coffee beforehand so it's ready to go. The programmable function allows you to do this in advance. Grab a quick cup while the coffee is still brewing. This feature allows for a pause, so you won’t spill on the heating elements. 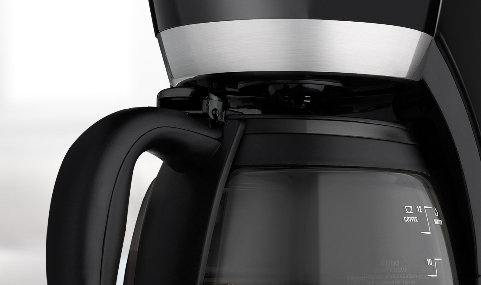 The large, clear water window with measurement markings ensure whatever it is you’re brewing is brewed accurately.